More than 700 students learned about career opportunities right in their home region from more than 40 businesses at the inaugural Woodland Days Career Fair, a partnership between Woodland Public Schools and the Port of Woodland to offer a career fair specifically designed for students considering living-wage careers after high school not necessarily requiring a college degree or additional education. 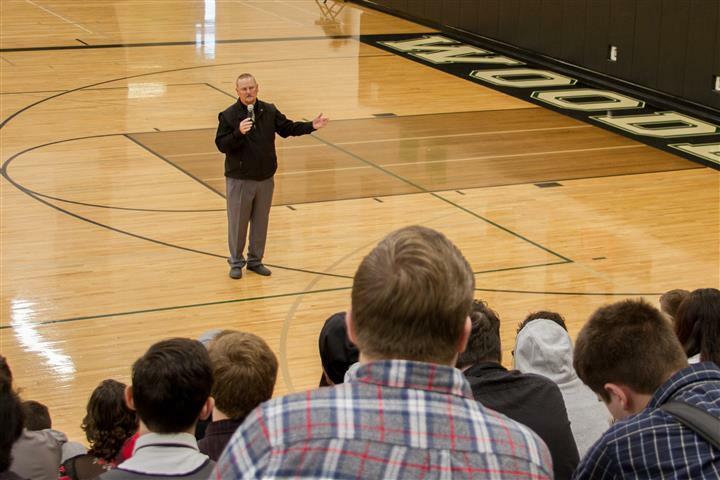 Bill Marcum, CEO of the Kelso Longview Chamber of Commerce, gave a motivating keynote speech before each grade of students entered the fair. 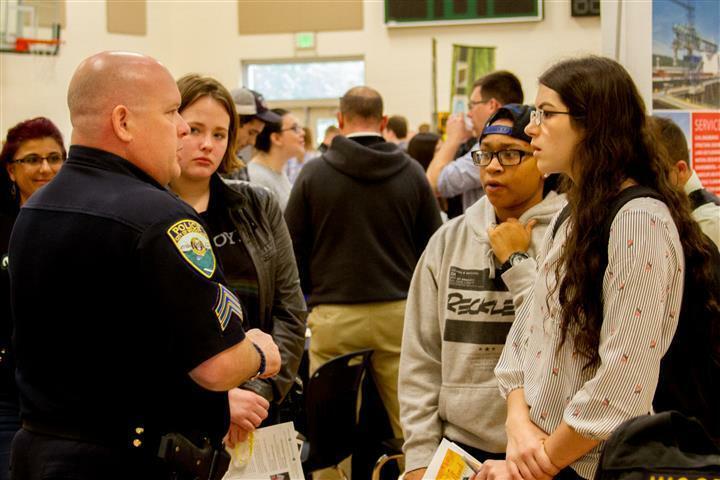 “With the ‘silver tsunami’ of retirees that will be leaving jobs in the next 6-7 years, there will be a wide variety of job opportunities available to students who are attending high school right now,” Marcum told the students. “The companies attending this career fair offer you an amazing opportunity to research what you could be doing in the future, including jobs right here in Woodland or anywhere else you want to live.” Marcum shared opportunities not requiring four-year college degrees including a story about his niece who now works as a dental hygienist after completing a two-year program to earn a starting salary of $80,000 a year. Currently, Tribeca Transport needs both additional mechanics and drivers with a fleet of 17 trucks and 26 trailers. “There’s a lot of growth in our company as we’re very specialized in what we do,” explained Thwaites. 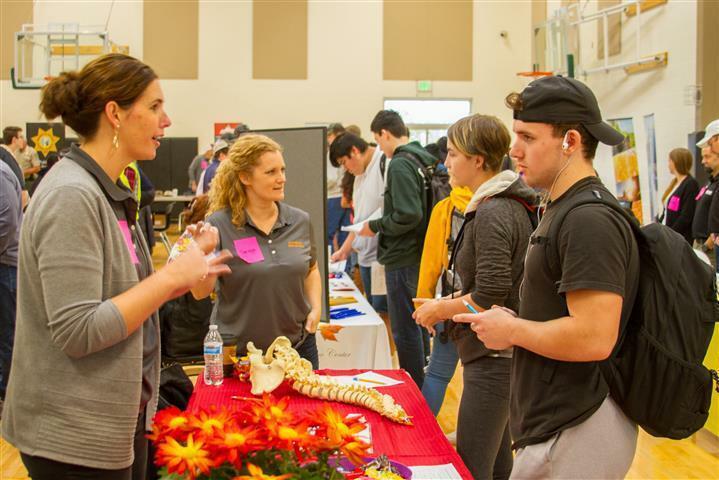 Students attending Woodland High School can select from a wide variety of Career Technical Education (CTE) courses specifically designed to help students develop the skills they need for careers and trades following graduation which will offer living-wages to support families. 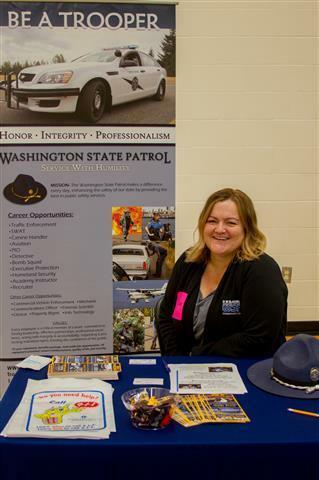 Businesses, professionals, and community members interested in partnering with Woodland Public Schools can contact the district office at (360) 841-2700 or email Asha Riley, Assistant Superintendent of Woodland Public Schools, at rileya@woodlandschools.org.